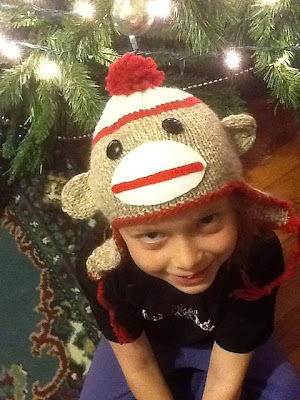 So, I'm working on a couple of new patterns while finishing my Rustling Leaves Beret... this sock monkey hat was way more fun then I thought it would be to knit and stitch up. This sample is knit as a toddler size but does have some nice stretch to it. The pattern will hopefully be ready by the beginning of next week.